Dr. Eshraghi is a native of the great Pacific Northwest. He completed both his periodontal specialty training and dental school at the Oregon Health and Science University. Following his residency, Dr. Eshraghi completed the rigorous requirements to become a board certified diplomate of the American Board of Periodontology. Since 2006 he has practiced in the Portland area. Dr. Eshraghi is well versed in all treatment modalities of periodontics, with a special emphasis on soft tissue grafting and incorporation of advanced 3D imaging and CAD/CAM technology in the placement of implants and bone augmentation. Dr. Eshraghi is involved training residents at Oregon Health and Science University Graduate Periodontics where he is an assistant professor. He is passionate about teaching surgical periodontics to the residents and dental students. Dr. Eshraghi actively lectures on periodontics, implantology and incorporation of advanced digital technologies in the treatment of periodontal disease. 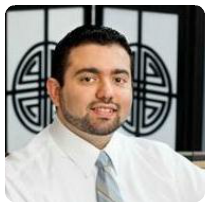 Dr. Eshraghi has published multiple articles in peer reviewed professional journals. He also directs multiple study clubs related to interdisciplinary dental care. Dr. Eshraghi is a member of several professional organizations (Academy of Osseointegration, American Academy of Periodontology and Oregon Society of Periodontists). Dr. Eshraghi practices in the Tigard/Tualatin area and limits his practice to periodontics and oral implantology.